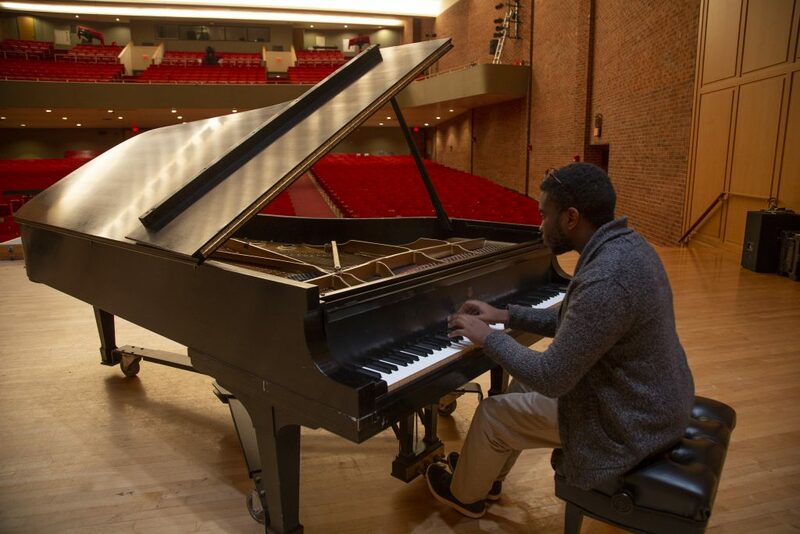 Andrew Brown didn’t let a lack of musicians of color discourage his music career. Instead, he used the opportunity to define his experience. The more he researched composers of color, the more he realized how narrow this narrative was. 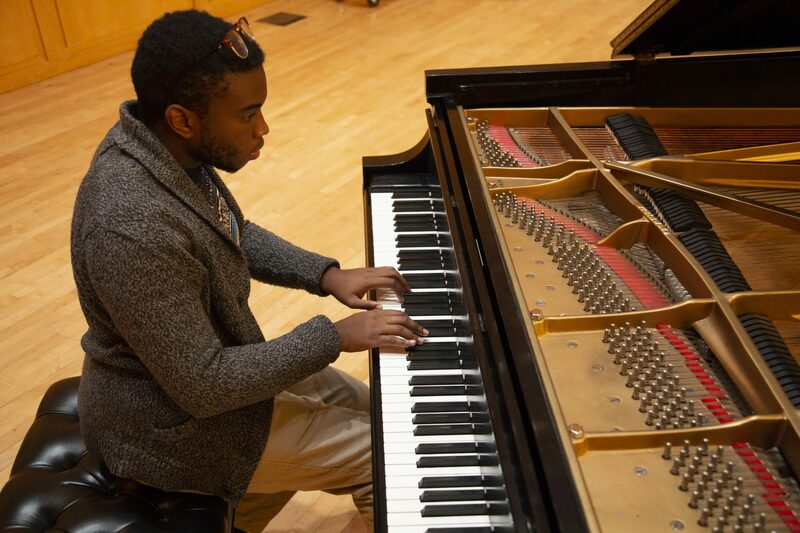 He has now taken this as a charge to define his experience as a senior pianist in the DePauw School of Music. 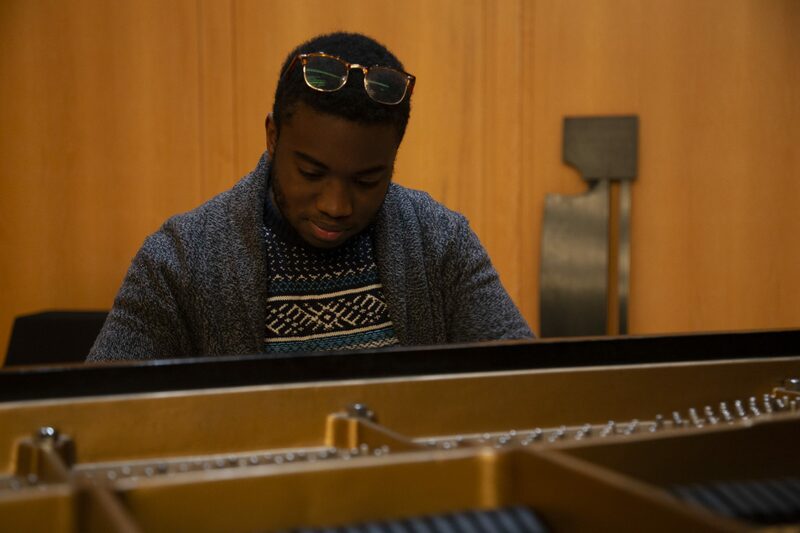 Brown started playing piano at the age of four, and music continues to be a large part of his identity. Due to his parents’ heritage, (his father is African American and his mother is Caribbean) he didn’t grow up on traditional teenage music tracks; rather he listened to a lot of soul music. This forced him to constantly defend the music he was listening to. Brown never let this lack of representation discourage him. Brown said he dreams of one day having his own ensemble. He is a chapel intern with Gobin United Methodist Church, and he works with 21CM. 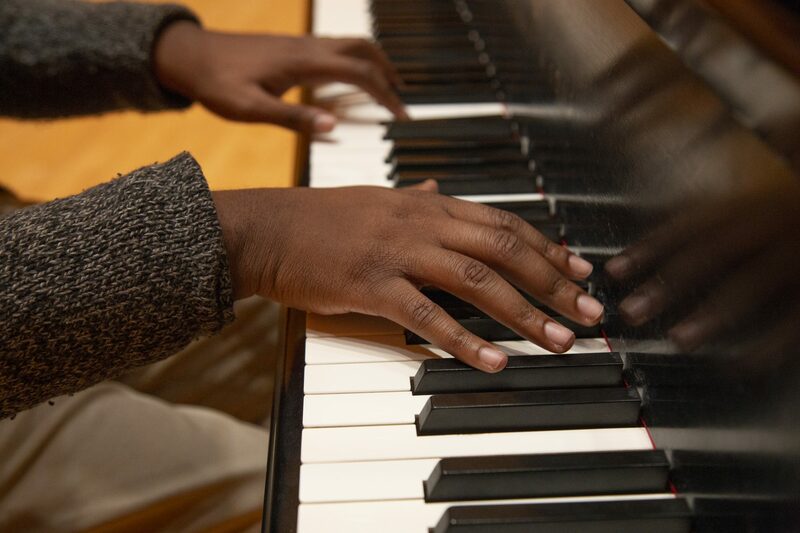 Through these roles, Brown is able to mentor and bring musicians together to share their talents. He advocates for musicians of color in hopes of giving younger generations a role model like the one he once searched for.